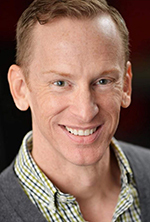 Come get your cheer on as "local treasure" Kevin Kelly returns to the Winter Park Playhouse with his latest original cabaret. Playhouse patrons will remember Kevin from his many Mainstage performances including Forever Plaid, The Musical of Musicals, The Rat Pack Lounge and the critically-acclaimed Murder For Two. Playhouse Musical Director Christopher Leavy will accompany on the piano. These popular cabarets sell out quickly so get your tickets today!